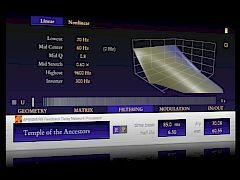 "Extremist" is a VST multi-effect plugin for guitars on Windows OS. It's main purpose is distorting guitar signal to receive 'extremely heavy sound'. This effect is NOT a tube amplifier simulator�A and it is NOT a cabinet simulator�A however some methods of altering signal are similar to tube amplification characteristics�A but only similar! 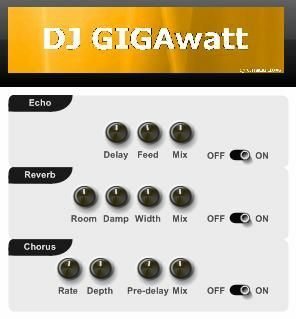 The effect works in stereo mode�A without any latency. It uses 15-band stereo equalizer. Drive�A Dry�A Wet�A Volume - amplification & mixing signals knobs. Feedback - level of signal feed back. Reverb - stereofonic reverb effect�A adjustable up to mid delay. Mid Boost - mid tones booster. 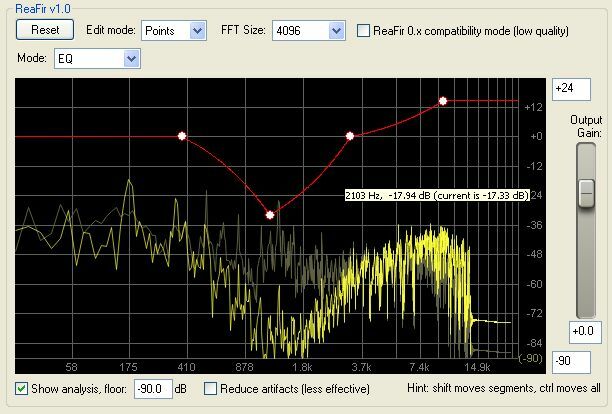 Eq Q - width of equalizer each frequency band. Pre HPF - filtering low frequencies of effect input. Post LPF - filtering high frequencies of effect output. Noise gate - noise gate. Amp curve - amplification characteristic. Lock bars - operate equalizer sliders in mono/stereo. Post gating - noise gate applied before/after effect. Smoothing - signal smoothing (hiss reduction). KVR 2005 "Free Plug-in Effect of the Year"